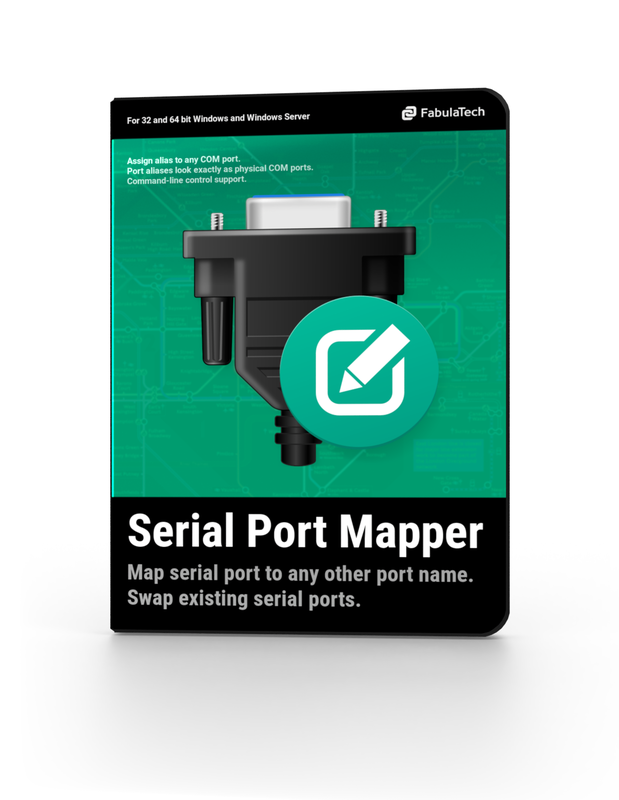 Serial Port Mapper allows to map a hardware COM port to any new port name. In other words it allows to rename serial ports or assign aliases to them. Some serial communications applications work with hard-coded COM port names only (usually COM1 or COM2). Such applications cannot access serial ports with other names. 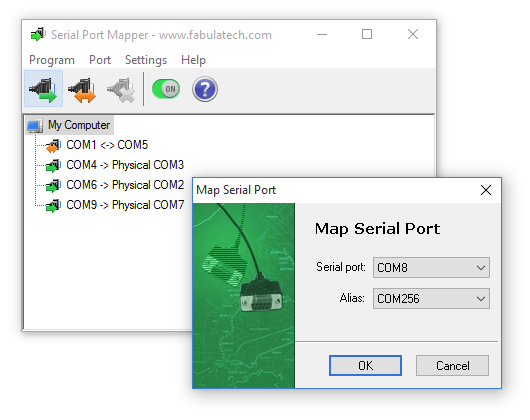 In case when you want a communications application to access another COM ports, Serial Port Mapper solves this issue. 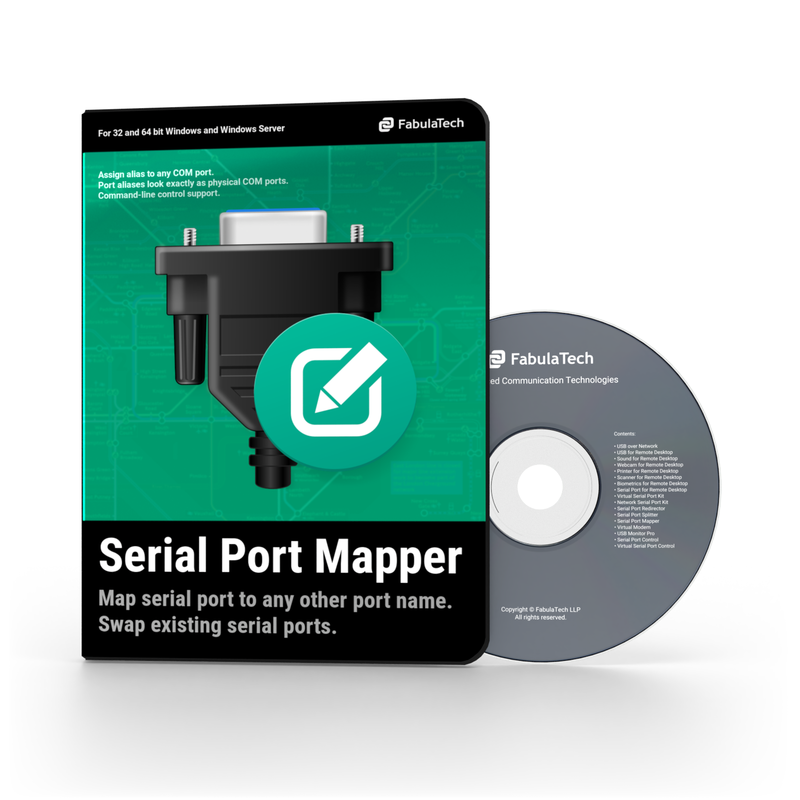 Serial Port Mapper maps existing physical COM ports to any aliases you need. As soon as the program assigns a new name to the selected physical serial port (for instance a COM1 alias is assigned to existing COM8 serial port), a communications application becomes capable to open necessary physical COM port using a new assigned name. 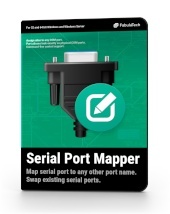 Serial Port Mapper redirects all the data and signals from the hardware serial port to its alias. So, the COM port which has been unavailable for communications applications now becomes available and suitable for work. The program fully emulates internals of mapped COM ports. Serial applications open the serial port using a new name but the actual work is performed with a specified hardware COM port. Serial Port Mapper can be controlled and configured via command line interface. It allows you to configure the program without using graphical user interface. Serial Port Mapper makes serial ports aliases accessible at every system start up prior to user's logon. You don't have to adjust anything, everything is ready for work whenever you need it. There are no serial ports on your computer. To connect a serial device a USB-to-Serial adapter is used which appears in Windows as COM5. Old serial communications application can not open COM5, since only the names COM1-COM4 are hard-coded. 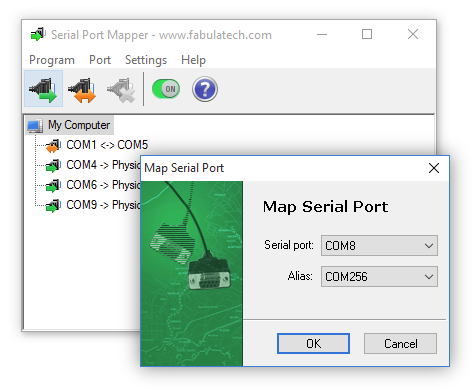 With the help of Serial Port Mapper you map the physical COM5 to a COM3 alias. Now the communications application can open the physical COM5 port via the COM3 alias. Unlimited number of serial ports can be mapped. Virtual serial ports configuration via Windows Device Manager. Hot serial port mapping, without computer reboot. "I just wanted to let you know that this is a wonderful product that does exactly what it says it does. The interface is simple and intuitive and it performs flawlessly. Keep up the good work."